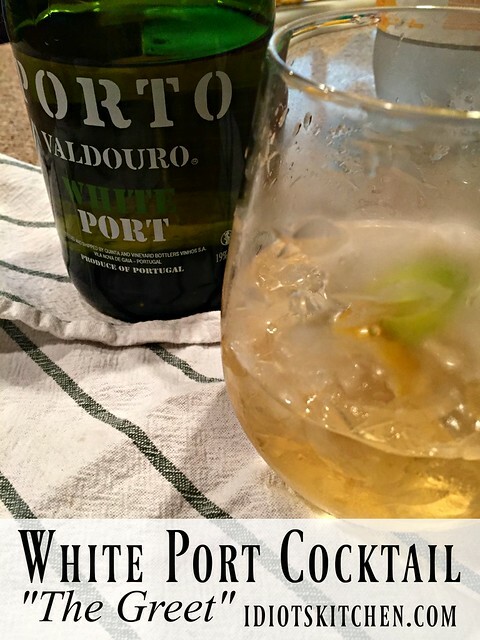 Meet “The Greet” – a White Port Cocktail! 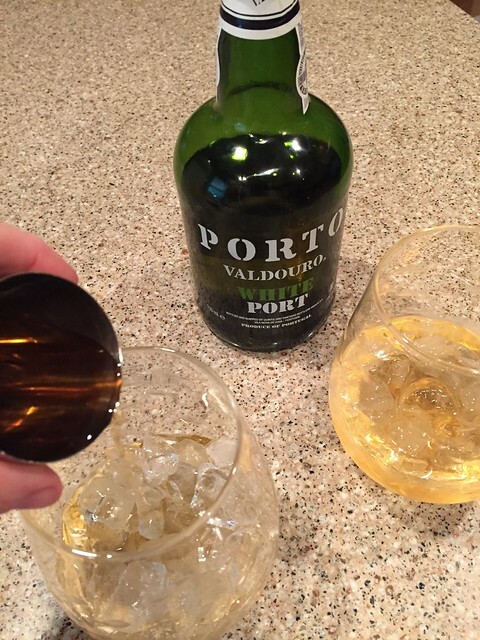 I’d never had white port before going to my friend Roz’s house for a holiday party last year. She discovered this cocktail at a port tasting event and told me that they called it “The Greet” because it was the cocktail they provided during the greeting hour while everyone was filing in and milling about. I love the idea of a Greeting Drink! 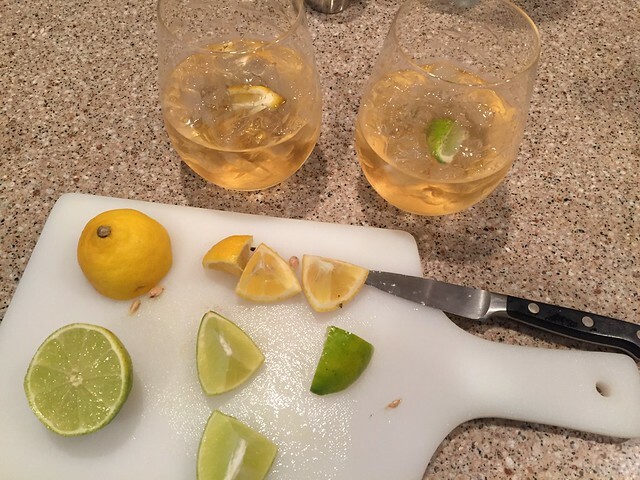 Our White Port Cocktail “The Greet” is very light and refreshing. 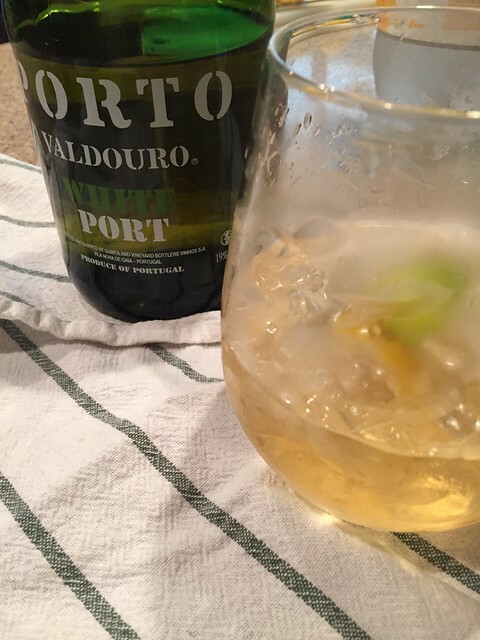 With just a hint of citrus, it’s almost like a super fancy spritzer except that the white port lends a deeper and distinct flavor that’s not overtly sweet. Henry say’s “Cocktail time? Sweet! How’s that for a serious look? This couldn’t be easier. 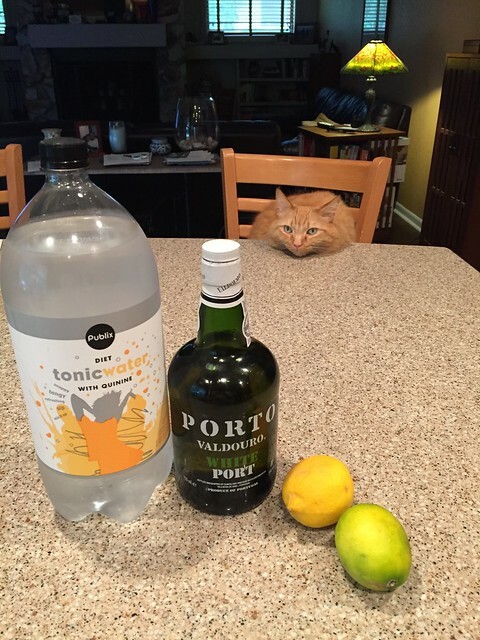 You can measure if you want to but it is a 1:1 ratio of white port to tonic water. 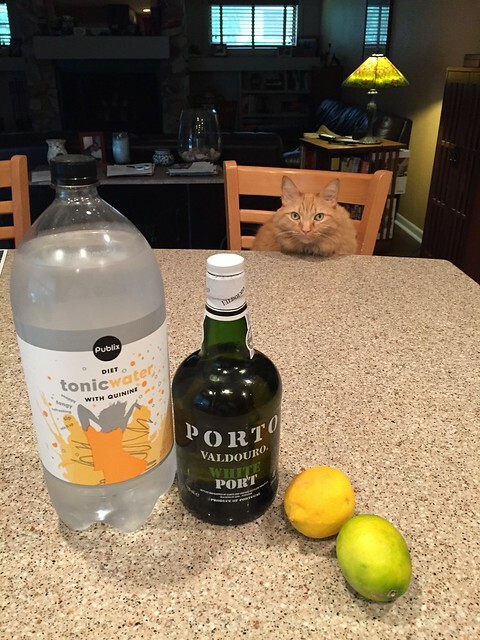 Fill a glass with ice (be sure it’s at least an 8 ounce glass so you have room) and add 2 ounces of white port and 2 ounces of tonic water. Squeeze in a nice slice of lemon or lime. Roz made them with lemon. I made one with lime and really loved it. Jim preferred his with lemon AND lime. So go crazy. I think orange would be good too. That’s it! If you want it a little more spritzery, add more tonic or club soda. I liked mine a bit more bubbly so I went with just a little more tonic than the prescribed 2 ounces. This is light and fresh and won’t knock your socks off like a hard alcohol cocktail. If you’ve been in a hurricane this weekend, I give you permission to have two! So glad you decided to post this and that you and Jim like it! The lecturer conducting the port tasting said this is THE drink in Portugal (home of port) in warm weather. I really like the idea of using orange for the citrus component. Will have to try that. Henry’s earnest expression is adorable! Cheers! We love these!!! I’m definitely trying orange next time. Or maybe even tonight!